# to pass through as long as they're logged in. # a consistent format, we can reduce the size of the cache and get more hits. # If the browser supports it, we'll use gzip. # Next, try deflate if it is supported. # Unknown algorithm. Remove it and send unencoded. # Routine used to determine the cache key if storing/retrieving a cached page. // Tell Drupal it's behind a proxy. 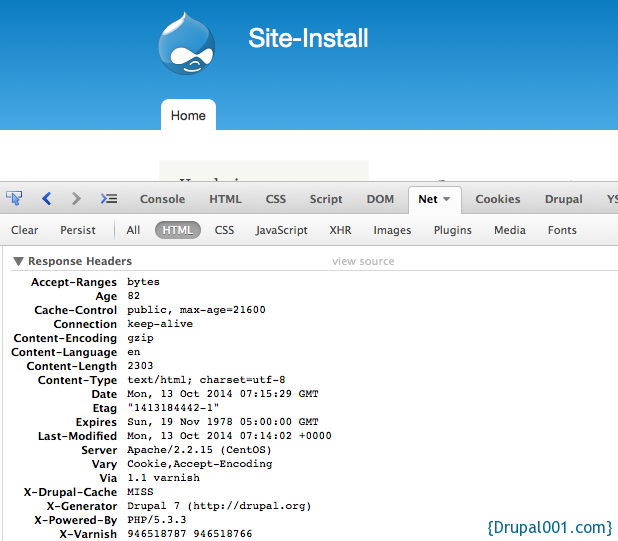 // Tell Drupal what addresses the proxy server(s) use. // Bypass Drupal bootstrap for anonymous users so that Drupal sets max-age &lt; 0. // Make sure that page cache is enabled. // Add Varnish as the page cache handler.